A local father who’s a familiar face at our Plympton Distribution Centre, where he devotes several days a week to volunteering with our Fundraising team, has openly shared his personal experience of having a terminal illness and highlighted the importance of conversations around advance planning in such a challenging situation. Scott Prideaux, who received his diagnosis November 2017, said: “When I was diagnosed I was keen to find out as much information as possible about pancreatic cancer and through social media I tried to find people in similar situations so I could gain an idea of what my future might look like. While there’s an awful lot of information out there, I quickly discovered that there are very few men I could contact and have that conversation with. It is mainly women who are openly discussing these things online. It was a desire to ‘do something positive and give something back’ that resulted in Scott deciding to volunteer with our charity, generously giving time to help staff with a myriad of tasks, from preparations for events such as Men’s Day Out and drafting thank-you letters to our supporters. 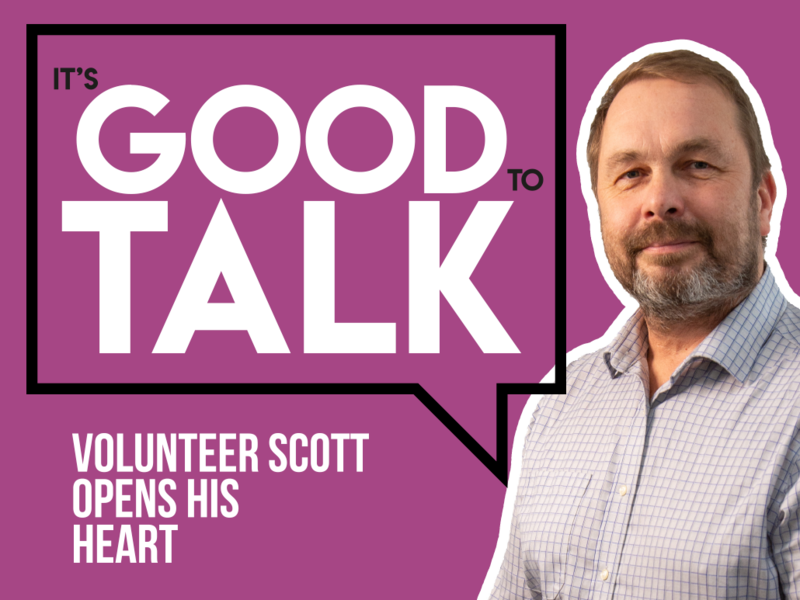 Crucially though, Scott has also found time to consider his future wishes, talk openly with his wife and children and involve them in his planning, which has helped provide more peace of mind for all of them at a vulnerable time. He said: “It’s important to have everything documented and any issues put to bed, so I have organised my finances and moved all our utility accounts into my wife’s name. I also had a will drawn up during St Luke’s ‘Make a Will Week’, where local solicitors give an hour of their time for free in return for a donation to the charity. Scott also shared his feelings about having a terminal diagnosis yet receiving underlying messages around ‘fighting it’, when the power to change the diagnosis is not within his control.